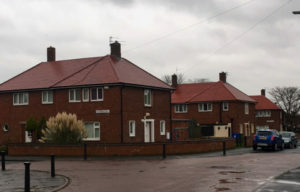 Procurement consultancy firm Prosper, which is used by many of the main social landlords in North East England, has published a case study featuring Wensley Roofing as an example of excellent partnership working. Prosper was approached by one of its partners, Northumberland County Council, to assist with finding a solution to deliver a new roofing scheme. More than 132 properties in Blyth required re-roofing which also included roofline, gutters and removal of asbestos soffits so Prosper looked at a bespoke solution to incorporate all of the project requirements. Prosper created a detailed specification and pricing summary document which clearly reflected what and how the scheme was to be delivered for Northumberland County Council. Following a robust evaluation process where NCC scored the quality elements of each submission, Prosper combined the commercial response outcomes with the quality scores to calculate the contract award. NCC reviewed the summaries and were pleased to appoint Wensley Roofing as the preferred contractor. Wensley implemented a simple solution to asbestos management through the delivery of the project which made it easier for the client to track the amount of asbestos removed for individual properties. They also provided a robust and comprehensive reporting mechanism which the client provides to the HSE and has led to significant internal process efficiencies. The project was completed eight weeks ahead of schedule and under budget which Northumberland County Council was extremely happy with. The way in which Wensley Roofing undertook the work meant the tenants affected by the work were extremely satisfied as they put the customer at the heart of the delivery. This was reflected in Wensley’s KPI scores and tenant satisfaction surveys. Managing director Steve Luke, Wensley Roofing Ltd said: “We were delighted to be awarded the Northumberland County Council contract via the Prosper framework. As a result of this, we have forged an excellent working partnership with both Northumberland County Council and Prosper which has led us to tender for many opportunities within the North East.